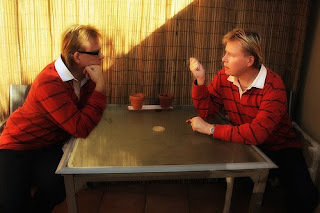 In my previous post, we discovered that all of us talk to ourselves on a regular basis, whether it be positive or negative self-talk as described by author David Stoop in his book Self-Talk: Key to Personal Growth . We examined the patterns of negative self-talk when we allow our circumstances to lead us to irrational thought processes. We saw this in the Biblical example of Job. And finally, we looked at the solution to change our negative self-talk as given in God's Word. In this post, we will investigate the specific emotions such as anger and depression in connection to our self-talk. Anger can take many forms and be expressed in a variety of ways, but the most common is the exploding temper. In the Christian world, we have been taught throughout our lives that the emotion of anger was a sin and that we should avoid feeling this emotion at whatever the cost. The problem with this teaching is that it's not Biblical. Throughout the Old Testament, we see time and again that God was very angry with the Israelites and punished them severely as a result. In the New Testament, we see that even Jesus expressed the emotion of anger on a few occasions, most notably when he chased to money changers out of the temple with a whip! As believers, we are allowed to experience and express anger, but we should not sin as a result (Ephesians 4:26). My kids should stop fighting immediately! My husband shouldn't be so insensitive to my feelings. My wife should have cleaned the house and cooked dinner before I got home from work. My business should be doing better than it is right now! In order to be angry and sin not, we must get rid of the demands in our self-talk. For example, in the above statements, we would be better off to change our demanding thoughts into wants and desires. I wish my children would stop fighting with each other. I need to allow them to settle their disputes on their own as much as possible. I wish my husband wouldn't be so insensitive. I will pray that he will learn to be more sensitive to my thoughts and feelings. I wish my wife would have cleaned the house and had dinner ready before I got home from work. Perhaps I should offer to help her. I'm sure she has had a very busy day. I wish my business was doing better. How can I be more proactive to increase my sales? Depression is a major problem in our society, today. Many people have brain chemical balance issues and should be treated with medications such as Prozac, Zoloft, and Paxill. Many, though, are simply depressed because of their negative self-talk. They allow difficult circumstances to control their feelings and actions. Why are you cast down [depressed], O my soul, and why are you disquieted within me? Hope in God; for I shall again praise him, my help and my God. Do Something. In order to break the cycle of depression, you must make a decision to do something, anything that will give you a sense of being back in control. If you stopped exercising since you became depressed, then make a decision to take a walk. If you haven't been returning phone calls since you became depressed, then return at least one call. One small action can allow God to take back control of your life. Take Care of Yourself. When we get depressed, we often stop caring for ourselves. In fact, depression is often the result of caring for others over ourselves. We get burned out helping everybody else, this burn out causes depression, and then we just throw in the towel all together. You need to take time to get the proper amounts of sleep, nutrition, and exercise. Recreate by doing something you enjoy such as reading a good book or playing a round of golf. As you take care of you, allow God to heal you as well. Challenge the Distortions in Your Self-Talk. Allow God through the power of the Holy Spirit to challenge your distorted thought patterns. Open yourself to new possible ways of viewing your life through God's eyes. Refocus. When we are depressed, our perceptions about God and ourselves are distorted. God is still God, though, and never changing. Anger at ourselves and even at possibly God Himself is often the root cause of most depression. We need to refocus this anger on where it truly belongs - the source, whether it be people or circumstances. When we refocus this anger away from ourselves and God, we allow the Lord to work on our feelings. He is our ultimate hope and protection in difficult circumstances. Limit the Depressive Symptoms. This is simply an extension of number four. We don't deny that we have the symptoms of depression, but we set limits on how long we will focus on those feelings. We must find a balance on experiencing these feelings but not allowing our lives to be controlled by them. Don't allow yourself to linger on these feelings at other times. Break the Pattern of Isolation. When we become depressed, we often go into isolation. We cut ourselves off from the rest of the world. We distance ourselves from the very people who care for us and desire to help. We want to be alone with our pain and suffering. Unfortunately, this is the worst thing we can do when we become depressed. Get out there and spend time with those you love and cherish. Focus on investing time in your most important relationships - God, your family, and your friends. In my third and final post, we will look at the emotions of guilt, worry, and anxiety in connection to our self-talk. 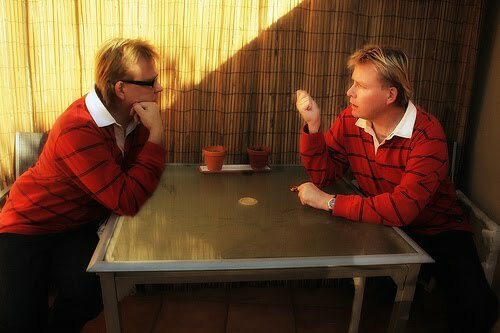 I will then conclude with a look at utilizing our self-talk in order to live an assertive life.